Thank you to all who supported "Toss the Boss" on Saturday, September 1st 2018 at The Landing Hotel at River's Casino. Fundraising for this event has ended. Here for fundraising page. Video footage from 2018 "Toss Your Boss" for Proctor's School for the Performing Arts. Thank you to all who donated and supported our efforts on behalf of Proctor's. 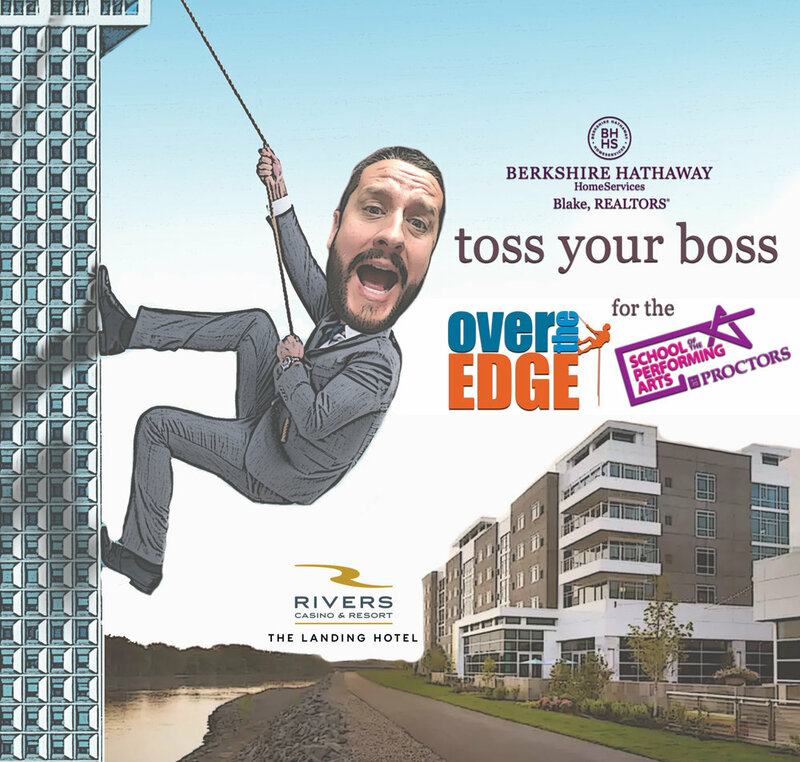 President of Berkshire Hathaway HomeServices Blake, Realtors, Jason Christiana, get's tossed off The Landing Hotel at River's Casino. MISSION: ACCOMPLISHED! Thank you to everyone who supported our efforts on behalf of the Proctor's School of the Performing Arts!